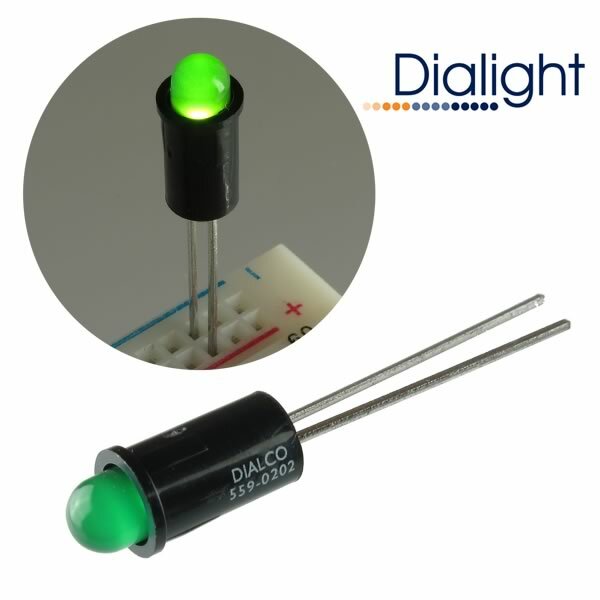 Dialight 5mm LED panel mount indicator is a nice diffused green with a peak wavelength of 565nm. This particular LED operates on 5VDC (has a 5V integral resistor). Forward current is 12mA. Viewing angle is 60°.Designed to snap-in to a 0.250" diameter mounting hole. Total length of LED and housing (excluding leads) is 0.625". Has full length leads Dialight Part# 559-0202-001. Retails for $1.82 to $2.26 elsewhere. Sold in a package of 10.